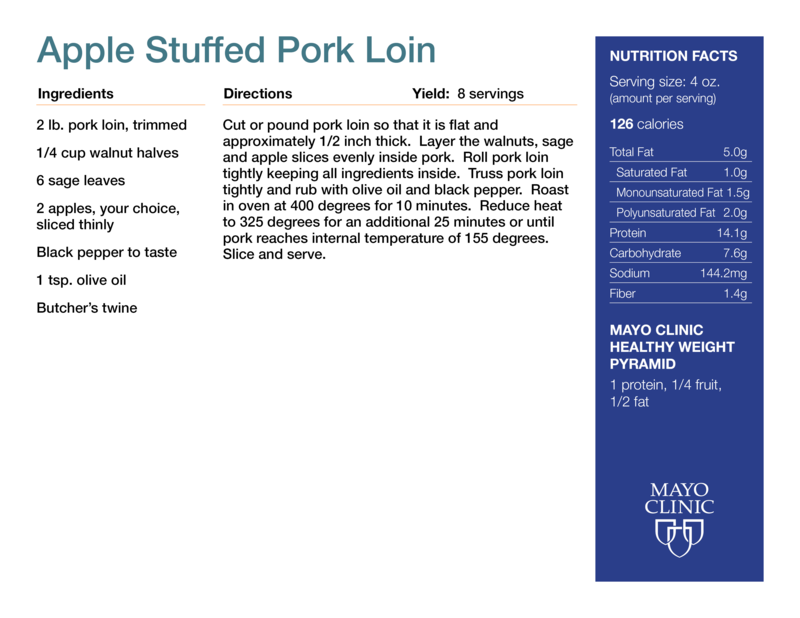 Here's our Apple Stuffed Pork Loin recipe that was recently featured in our Cooking Demo Classes. Many who see the word "stuffed" in the recipe may assume this takes extra effort and some kind of "chef's wizardry" on their part. But we will show you how simple it is as you impress your friends or family with this quick and easy recipe. Not to mention how healthy, well balanced and delicious it is! Let's dive in!